How do I crop a course to move the start and stop points? 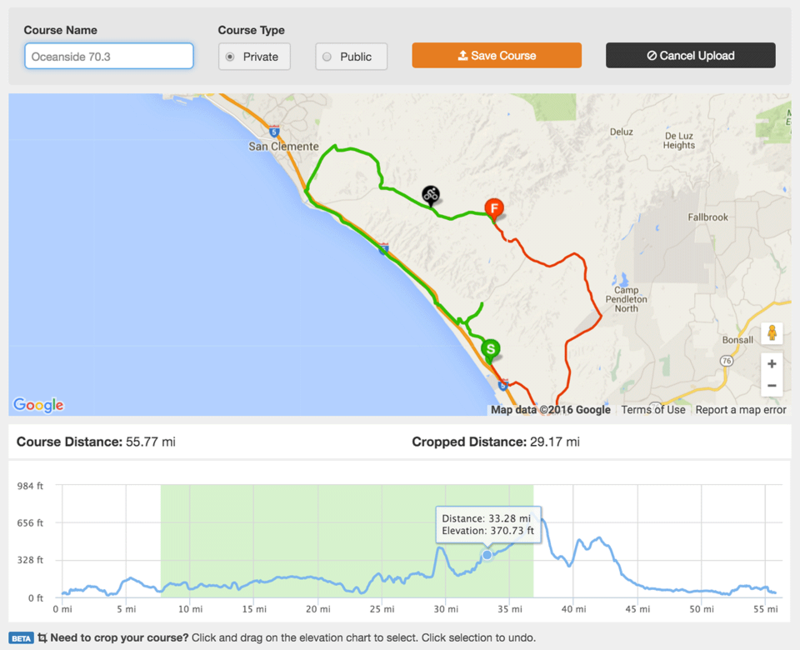 To crop a course simply upload a GPX or FIT file like the normal upload process. Once uploaded use the elevation chart to highlight the section of the course you want to include. This will highlight the section of the course in Green on the map and move the Start and Stop icons. Save the course as normal and the cropped course will be added to your Courses page. To undo a Crop just click inside the highlighted section of the elevation chart.